Ringworld inspired artwork by Hill. I love the hard Sci-Fi of the Ringworld books, but not much of that shows up on KC. The Mote in God’s Eye and The Gripping Hand describe an interesting alien society, but again, not too particular to KC. Oath of Fealty (1981) (with Jerry Pournelle) describes an arcology. That’s one HUGE building that is a whole city. I love the idea that the city is consolidated into an efficient, yet pleasant and beautiful space, and the natural area surrounding it remains untouched. Skytower is a large arcology, and I suppose KC will have several other arcologies across the planet. I also have in mind building an arcology near The Scar, leaving that land untouched. I’ve read many other Niven books, but these are the stand-outs for me. The Fountains of Paradise is about the construction of Earth’s first space elevator. Instead of building “Up” from the ground, a space elevator begins with a satellite in geosynchronous orbit, and a super light, super strong cable system is hung down to the surface. Once in place, this makes a much more efficient means of getting cargo and passengers to and from orbit. On KC, Skytower connects to a space elevator. Essentially, the lower part of Skytower is an arcology, and the upper part of Skytower is a space elevator. In the well known epic 2001, A Space Odyssey, I love the image of perfectly normal business people travelling back and forth from Earth to space and beyond. OK, Heinlein is one of the biggest influences of my work, and I’ve already written a blog post about his inspirations for group marriage. It’s almost not worth listing them all, there are so many! 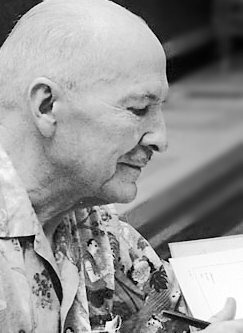 Heinlein pushed the limits for social acceptability. Some of the relationships he describes (incestuous) still give me the heebie jeebies. But I love the fact that so many of his stories are interwoven with each other, and yet still stand alone. DeChancie is the author of the Castle Perilous series as well as numerous other works. 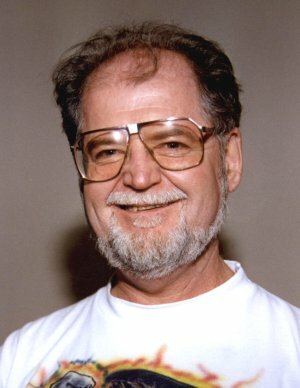 He’s the first big-name author I felt a personal connection with, as I once sent an e-mail via his website and received an answer from the man himself! I never realized that great writers might actually communicate with their fans. Now I see him on facebook, and it’s great to know the real person behind the stories. The novel Emergence is one of my favorites. It has the theme of humanity taking a step forward in evolution, like my favorite old teen SciFi servies The Tomorrow People, and is set in a post-apocalyptic world.